The Horror Section: Chills & Drills. This past weekend, The Big Smoke's embarrassment of genre riches continued with two fantastic events. Last Friday saw the beginning of a new film series at The Royal called Retropath. Curated by film journalist Richelle Charkot, the programme seeks to showcase the wild and quirky horror films from the fifties and sixties. 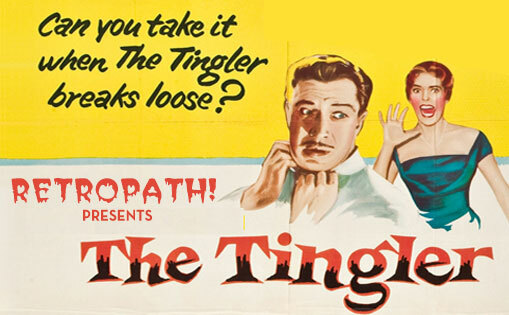 For the inaugural screening, Charkot decided upon Bill Castle's 1959 picture The Tingler. I obviously know Castle's films by reputation, but have seen very few of them, so this seemed like a perfect opportunity for which to get better acquainted. I really enjoyed this movie. It was built around a gimmick to be sure, (sadly there were no seat shockers at our screening) but I thought the story was legitimately interesting. The idea of a creature that lives in us all that feeds and grows on our fear and can only be killed by the release of tension through screaming is delightfully unique. It's so well visualized that I didn't even care I could see the wires when The Tingler finally shimmied its way onscreen. 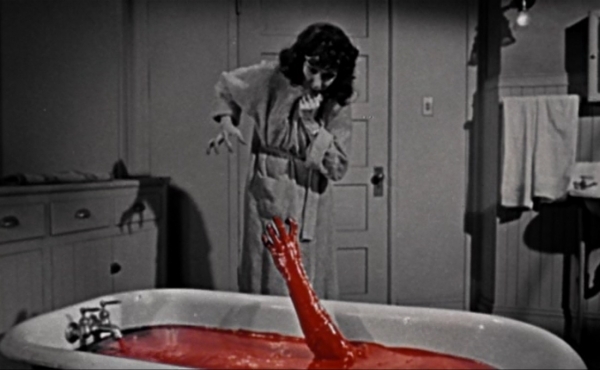 Castle even managed to throw in a plot twist most likely derived from his love of Hitchcock. Martha (Judith Evelyn) gets scared to death - literally! As a filmmaker and showman, Castle was way ahead of his time. He knew how to manipulate his audience. I love the whole conversation Vincent Price – fully invested as always as his character Dr. Chapin – has with the rep theatre owner (Philip Coolidge) about how silent films might not be as flashy as the sound and colour of the present day, but people still come out. Castle's era was the first that had to deal with television and his way of thinking is still adopted by studios today, as they continue to trot out gimmicks like Real 3D and D-Box to keep people in the seats. 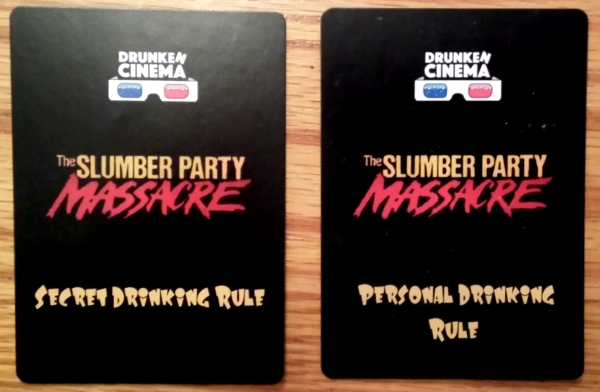 Saturday brought about a special screening put on by Drunken Cinema. Teaming with The MUFF Society, they showed Amy Holden Jones' feminist slasher The Slumber Party Massacre. I've talked before about DC founder Serena Whitney's drinking game nights, and the rules were out in full force this night. The slasher flicks are always the most dangerous drinking games because the same stuff always happens. I've said this before, but you really don't realize how many fake scares there are in these things until you have to drink every time one happens. As you can see, it was a great two-fer. And the hits keep on coming, as I'll be checking out the new restoration of Philip Ridley's The Reflecting Skin this coming Tuesday. Not bad at all.